Gábor Kecskeméti was born on the 30th of November 1965 in Szolnok. He studied Hungarian literature and history at the Faculty of Letters of the Eötvös Loránd University in Budapest, from 1984 to 1989. While a freshman, he attended Andor Tarnai’s seminars on early modern literary history; starting with his second year of studies he became Tarnai’s undergraduate teaching assistant for the seminars on The Significance of the Early Modern Occasional Sermon from the Perspective of the Sociology of Literature. It was during this assistantship that he committed himself to study the history and theory of early modern rhetoric. His critical edition of seventeenth century funeral sermons was published while only a senior student. 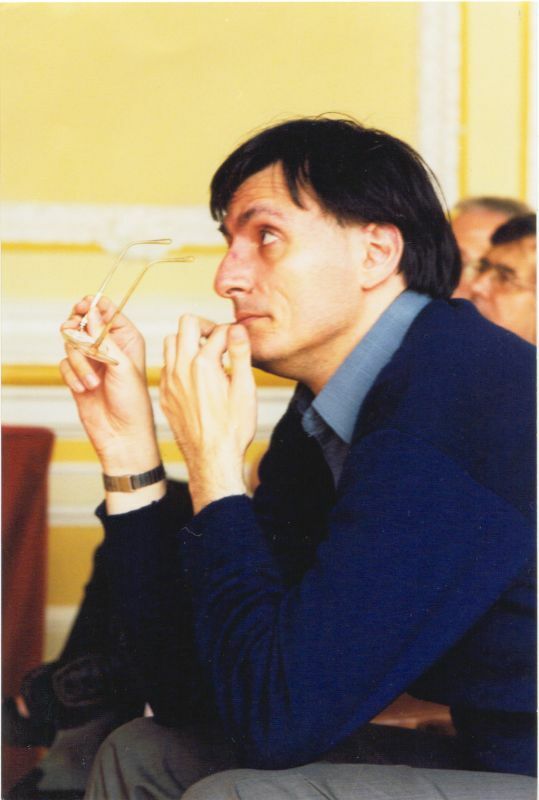 He was awarded a three years postgraduate scholarship of the Hungarian Academy of Sciences from 1989 to 1992. The Department of Early Modern Hungarian Literature of the Eötvös Loránd University became his host institute under the supervision of Andor Tarnai. He commenced his PhD aspirancy here. He completed his critical edition containing early modern Hungarian translations of ancient Latin authors in this period. Since 1992 his full time employment has been at the Renaissance Department of the Institute for Literary Studies, Hungarian Academy of Sciences; the institute as of 2012 has been incorporated in a larger structure, the Research Centre of the Humanities, Hungarian Academy of Sciences. He started his activity as junior research fellow. He became research fellow in 1995, senior research fellow in 1998, and finally obtained the status of research adviser in 2009. He submitted his thesis for the degree of Candidate of Literature (C.Sc.) entitled, The Significance of Early Modern Hungarian Funeral Sermon in the Context of Intellectual History in 1996. The thesis was successfully defended in 1997, then transformed into a monograph, and published in 1998. While in the Institute for Literary Studies, as part of a more complex project on the history of Hungarian criticism supervised first by Andor Tarnai, and later on by László Szörényi, he was given the task of writing the history of early modern Hungarian criticism covering the period of 1580–1630. He has conducted monthly research trips on six occasions at the Herzog August Bibliothek in Wolfenbüttel since 1994. It was during these research trips that he managed to gather and examine the German sources of his thesis for the degree of Doctor of Sciences (D.Sc.). The thesis entitled Rhetorical Culture in Hungary at the Turn of the Sixteenth and Seventeenth Centuries has been submitted in 2006, and defended on March 26, 2008. The monograph developed from the thesis was published in 2007. He has been delivering lectures on regular bases at local and international conferences such as Bonn, Krakow, Oradea, Rome, Tours, Warsaw, and Zagreb. He has been involved and contributed to several successful projects related to both Hungarian and international scholarly enterprises. 1. 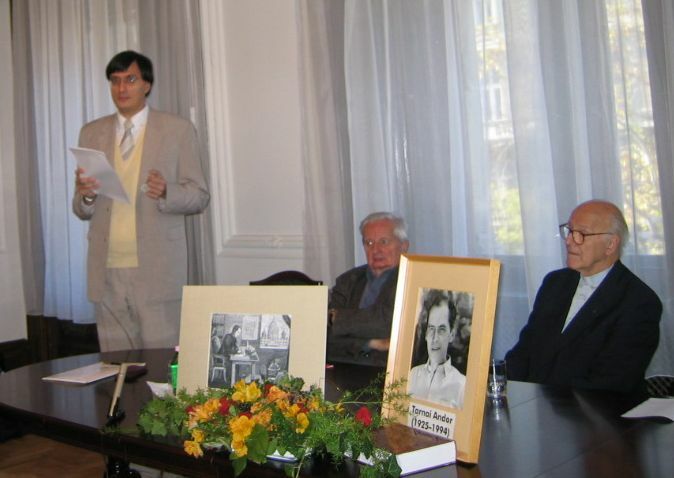 The Sources of the History of Hungarian Literature and Scholarship, supported by the Hungarian Academy of Sciences (MTA – HAS, 1997–1998). 2. The Social History, the Altering Functions, the Genre, and the Building of a Database Comprising the Early Modern Religious Debates in the Sixteenth through Eighteenth Century Hungary, supported by the Hungarian Scientific Research Fund (OTKA, 2001–2004). 3. The Exploration of the Neo-Latin Literature of Early Modern Hungary, supported by the National Innovation Office, formerly named as National Programme for Research and Innovation (NKFP, 2002–2006). 4. The Critical Edition of Péter Pázmány’s Complete Works, supported by the Hungarian Scientific Research Fund (OTKA, 2003–2006 and 2007–2011). 5. Supervisor of the Project for Improving Higher Education, supported by the National Development Agency (TÁMOP-4.2.2/B-10/1-2010-0008, 2011–2013). 1. 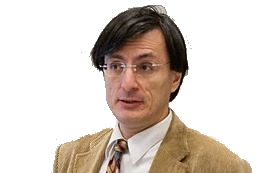 He is a member of the French–Hungarian project for creating an international database of humanist texts, hosted by the Institut de Recherche et d’Histoire des Textes, CNRS. 2. He is a member of a project with the aim of studying the history of Central-European Neo-Latin culture, involving two partners, the Institute for Literary Studies, Research Centre of the Humanities, Hungarian Academy of Sciences and the Centre for Studies on the Classical Tradition in Poland and East-Central Europe, hosted by the University of Warsaw. 3. He is also a participant in the project entitled Cultures of Knowledge launched by the University of Oxford. 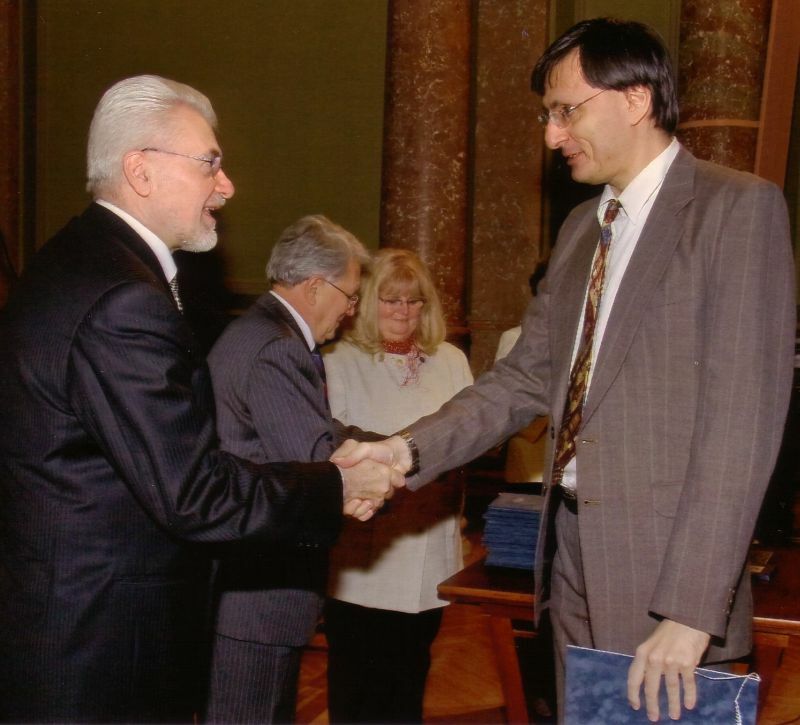 As of the 1st of January 2013, he has started his mandate of director of the Institute for Literary Studies, Research Centre of the Humanities, Hungarian Academy of Sciences. He has been the organizer of several national conferences and editor of their ensuing proceedings. He has been a member of the organizing committee preparing the thirteenth Congress of the International Association for Neo-Latin Studies in Budapest, during August 2006. As of 2011 he has commenced organizing a series of conferences systematically evaluating the Hungarian textology and philology as a discipline. The conferences have been held at Miskolc. 2013: Textology, Philology, and Interpretation in the 18th and 19th Century Hungarian Literature. Since 1997 he has been a member of the Committee for Textology of HAS, became its co-chair for the period of 2001–2008, and finally its chair, from 2008. 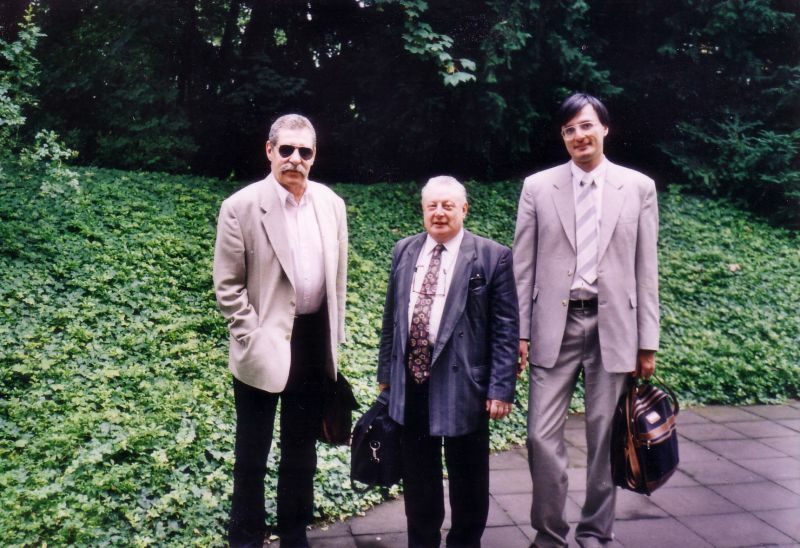 He has been a member of the expert board for Hungarian Literature and Modern Philology of Hungarian Scientific Research Fund (OTKA) between 2005 and 2008, and then from 2010 onwards. As of 2011 he undertook the duties of the chair of this board. He has been the co-chair of the Board for Literary Studies of the Hungarian Accreditation Committee from 2007 to 2010. For two years, between 2010 and 2012 he has been a member of the Hungarian Accreditation Committee for Humanities. He has been the elected member of the Committee on Literary Scholarship, Hungarian Academy of Sciences since 2008. He has been the co-chair of the Committee on Literary and Linguistic Scholarship of the Regional Committee in Miskolc, Hungarian Academy of Sciences from 2008, and became its chair since 2010. He has been the chair of the Borsod-Abaúj-Zemplén county department of the Hungarian Literary Society since 2011. From 2010 he has been a member of the Advisory Board for the János Bolyai Research Scholarship. He is also a member of the Advisory Board for the Andor Tarnai Prize. He has contributed as an evaluator, secretary or a member of the expert committees to several procedures sustained for obtaining a Ph.D. or D.Sc. He has been the managing editor of the Irodalomtörténeti Közlemények (ItK, Publications on History of Literature) from 1996. Similarly, he has been the managing editor of the Camoenae Hungaricae, a foreign language yearbook meant to promote the Hungarian scholarship investigating the history of Neo-Latin literature, from its foundation in 2004. He has been a member of the editorial board of the periodical entitled, Publicationes Universitatis Miskolcinensis: Sectio Philosophica from 2008. Finally, he has been one of the editors of the Historia Litteraria book series hosted by the Universitas Publisher. He has been teaching in higher education since 1990; he started his teaching activity as a visiting faculty first at the Eötvös Loránd University, then at the Pázmány Péter Catholic University. He has worked for three years (1996–1999), first as a senior lecturer, and then as a reader at the Janus Pannonius University’s Department of Classical Literary History and Comparative Literature in Pécs. Furthermore, he taught several courses for postgraduate Polish, Russian, Ukrainian, Belarusian, and Lithuanian students at the East-Central European School in the Humanities of the Warsaw University. He has been teaching at the University of Miskolc since 1997. He started his teaching career here as a senior lecturer, then, from 1998, as a reader, in a part-time position. After having gained a full-time position he habilitated in 2009 and obtained his professorship in the same year. He has been the Acting Head of the Early Modern Hungarian Literature Department since 2005. 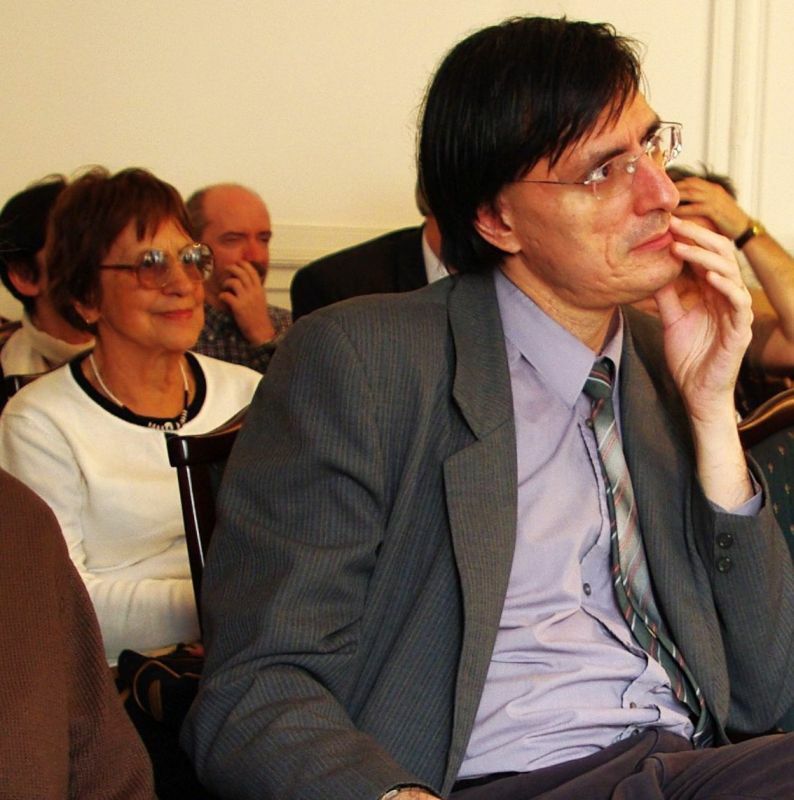 In 2006 he became the Acting Head of the Early Modern and Classical Hungarian Literature Department, and he has been acting as the director of the Institute of Hungarian Language and Literature from 2007. He has been a member of the University Senate from 2011 to 2012 and starting with 2013. Since 2012 he has been a member of the Council for Academic Affairs of the University of Miskolc. He is a foundation member, supervisor, and tutor of the Doctoral School of Literature at the Faculty of Letters, University of Miskolc. He has been a member of the Committee of Doctoral School, and the supervisor of the doctoral programme entitled Classical Textology since 2004. In 2009 he became the director of the Doctoral School, and the director of the Committee of Doctoral School as well, including the status of the director of the Board of Doctoral Council at the Faculty of Letters. 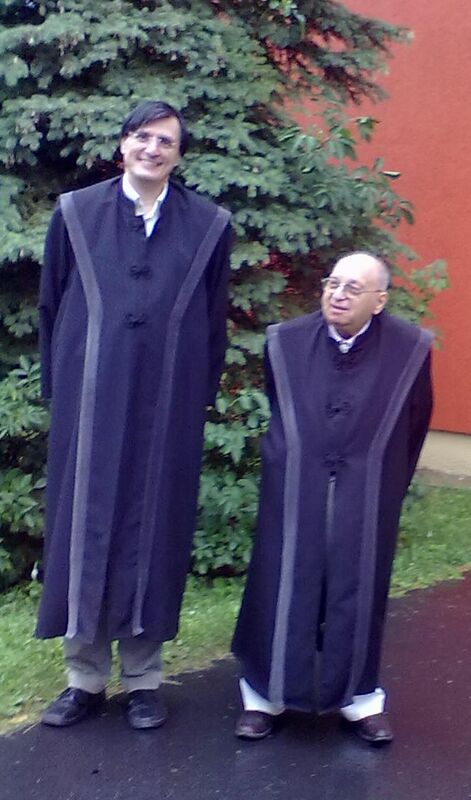 Since 2013 he has been the chair of the Doctoral Council of Literary Studies at the University of Miskolc. He has been a member of the Habilitation Committee of the Faculty of Letters, University of Miskolc since 2010. As of 2013 he was elected the chair of the Habilitation Committee for Literary Studies at the University of Miskolc. He has been an external member of the Board of Doctoral Council at the Faculty of Letters, Eötvös Loránd University since 2008. He became an external member of the Committee of Doctoral School of Literature at the Faculty of Letters of the same university in 2009.